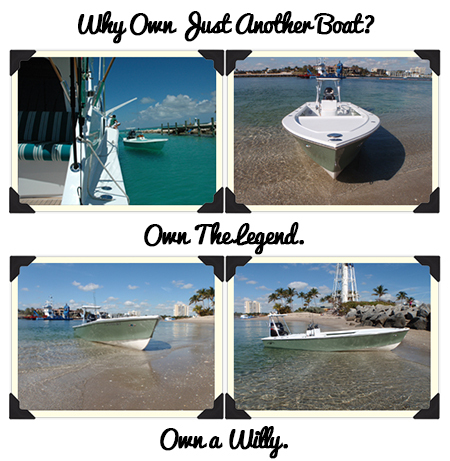 Willy Roberts Boats is builder of the “World’s Premier Shallow Water Flats Skiffs & Tenders” and is known as the pinnacle for bringing the finest detail, yacht-quality craftsmanship, and originality to flats sport fishing. Since the 1950s, Willy Roberts continuously has pioneered shallow water boat design and construction, including the “no slap hull,” “dry ride hull,” and “shallow draft hull,” which so many others have imitated and still copy today. Ownership of one of our legendary Willy Roberts skiffs is a unique and exclusive experience, providing a sense of pride and excitement in possessing a piece of history, for which very few will have the privilege.